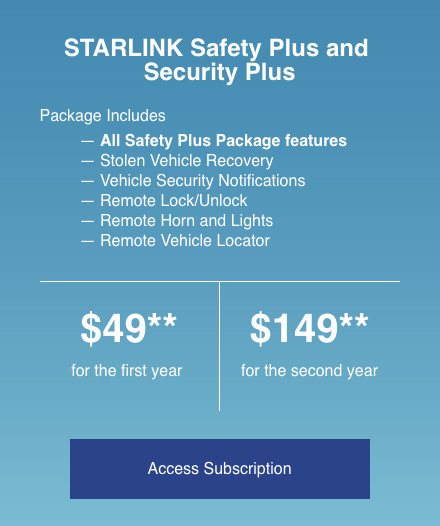 STARLINK Safety and Security helps keep you and your Subaru safe whether you're in your vehicle, at your computer, or on your mobile device. Safety and Security services include Automatic Collision Notification, Enhanced Roadside Assistance, Stolen Vehicle Recovery and the added convenience of Remote Services. 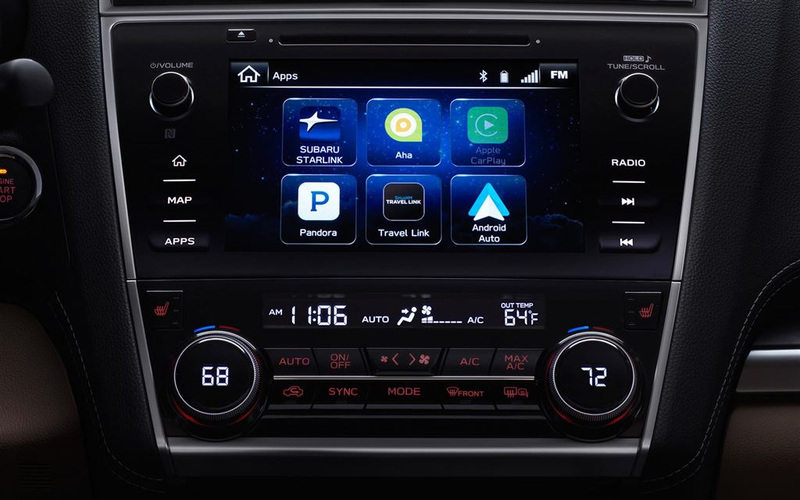 When an airbag is deployed, a STARLINK Customer Care Advisor will promptly communicate with you via the speakers in your car and send the appropriate first responder. Press the red SOS button in the overhead console to alert your STARLINK Customer Care Advisor from anywhere in the U.S., Alaska, Hawaii, and the District of Columbia. 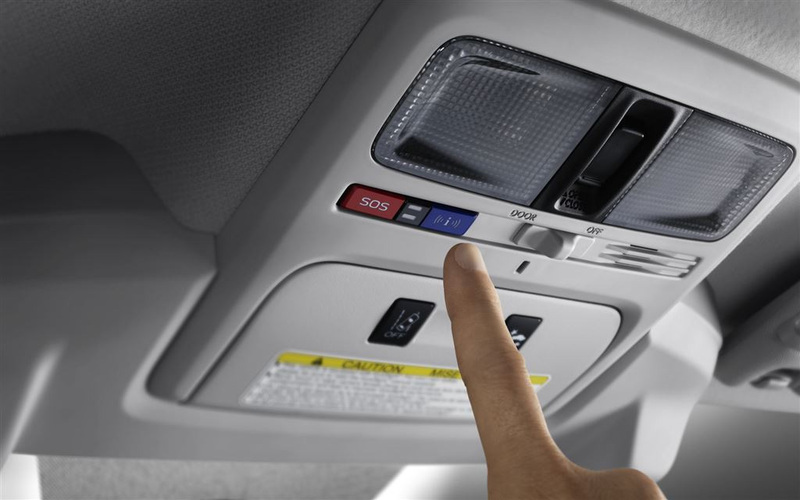 Press the blue i button on your overhead console for nonemergency roadside assistance, and help can be sent to your exact GPS location. If your vehicle is ever stolen, file a police report immediately, and then contact a STARLINK Customer Care Advisor at 1-855-753-2495. They'll work with police to help recover your vehicle. If a warning light pops up on the dashboard, you'll receive an email explaining the issue and how to resolve it. With more serious issues, you'll be prompted to visit your local retailer. Safety and Security offers two packages to fit your needs. 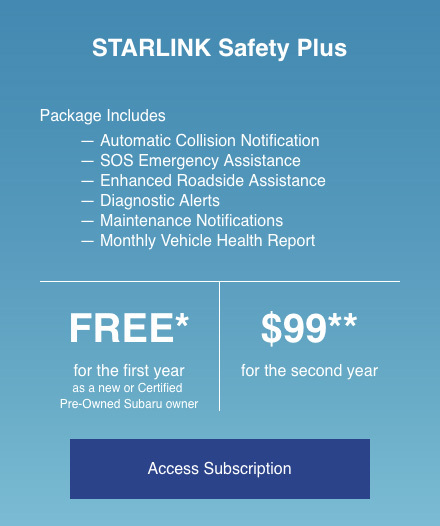 New Subaru owners enjoy a free year of STARLINK Safety Plus for their first year of ownership.